Gary Oldman, Kristin Scott-Thomas, Ben Mendelsohn et al. DVD: 120 min., Blu-ray: 125 min., 4K Blu-ray: 125 min. As Hitler's forces storm across the European landscape and close in on the United Kingdom, Winston Churchill (Gary Oldman) is elected the new Prime Minister. 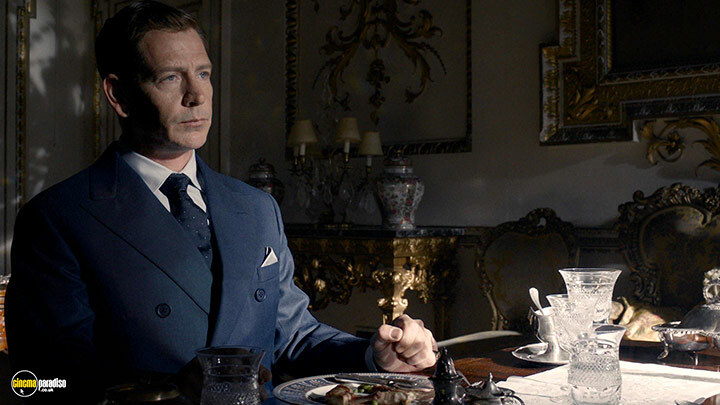 With his party questioning his every move, and King George VI (Ben Mendelsohn) sceptical of his new political leader, it is up to Churchill to lead his nation and protect them from the most dangerous threat ever seen. 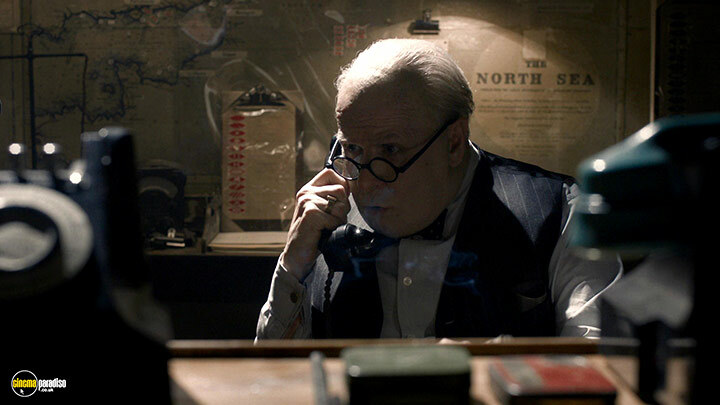 Gary Oldman's portrayal of Churchill superb and fully deserving of an Oscar (despite his disadvantage of being a white man in today's poc Hollywood) - however, I noticed in one dialogue he drifts into and out of Cockney when he says 'for our boys' in pure Sarf London. Most people won't notice that, but I am from near London so do! I also doubt VERY much that Churchill would have said 'off of' rather than 'off' - he was very particular re the English language! I also know King George VI would not have pronounced 'Adolf' in the American way - ade-olf - but would have said add-olf as we do over here. The king's role and power is exaggerated because that is what Americans and an international audience is interested in - it was in fact Clement Atlee who as deputy PM of a national govt had far more power and say. The entire plot re Halifax, Chamberlain and the king planning peace tales is overstated massively too. I do not believe for a minute scenes of Churchill chatting to people on a tube - especially as one is black Jamaican and no comment is made about that fact. It's a shame how pc tokenism can ruin a film. So, 4 stars not 5. This is way better than the modern Dunkirk - I would recommend watching the 1950s film about that starring Kenneth Moore actually - and then the wonderful early 70s film Battle of Britain which begins where this film ends. Anyway, enjoyable but occasionally annoying - and a towering performance by Gary Oldman who has been my favourite actor since Prick up your Ears in the late 80s! And no matter what your political affiliation (and Churchill was both Tory and Liberal in his time, and was MP for Dundee, somewhat improbably), you have to accept that he was the right man at the right time, and if it wasn't for him and the British people, Europe and the world would be a very different place. And remember, in 1940, the USA was not in the war and wasn't actively helping us (quite the reverse - Joe Kennedy father of JFK said Britain is finished so the US should make peace with Hitler) and Stalin and the Soviets also had a deal with Hitler. So Britain and its colonies stood alone and saved the world. Never forget it. I very much doubt the accuracy of this film and I think the role played by the King to be a joke. We all know that the Royal family have always been more interested in preserving their own lifestle than safeguarding the British people. I also think that the scenes in the London subway must be the figment of a very gullible or naive writer. 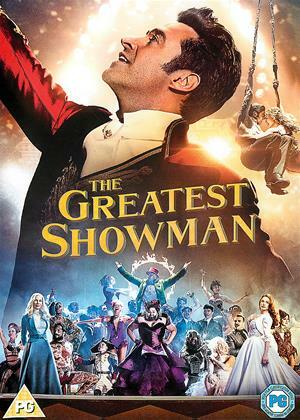 The acting was brilliant but the film was disappointing and so so so BORING. 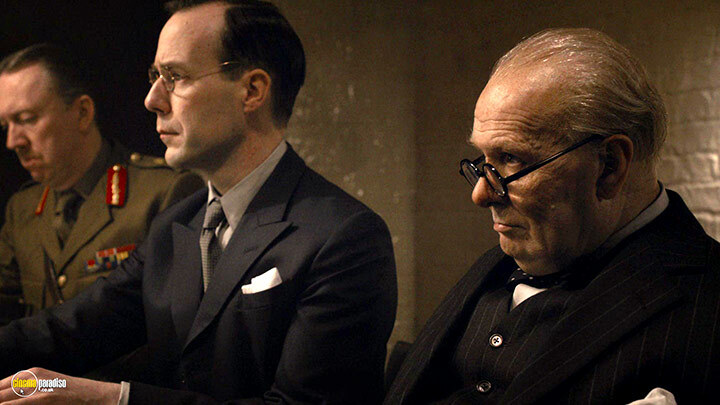 with Gary Oldman superb as Churchill and a worthy Oscar winner. In fact the whole cast is terrific and the somber sets/locations convey just how serious the time was , not only for the UK, but for the whole world. Just imagine if we had given in ? The fact that we fought alone ( with the Commonwealth) and without America for the first two years, is something that will always mean that the British can stand with their heads held high. 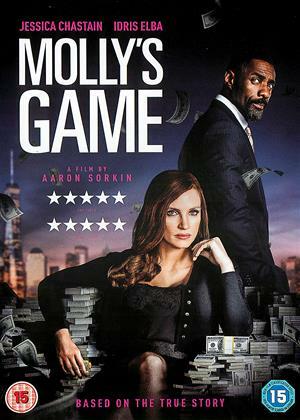 I can not recommend this movie enough, excellent. Well it is a film not a history lesson. The underground scene is pure fiction; as for Marcus.... ha, ha. Got to get a black actor in there somewhere!. But like I say, not a true piece of history. I don't believe the Halifax plot in the background, but I suppose the script reflected the general atmosphere and misgivings about Churchill abundant at the time. Wonderful performance by Oldman which goes to show how good actors can be when not pretending to fly around in stupid super hero films etc. I was emotionally dragged along as the enormity of what was developing took hold, brought a tear to me eye in fact. The film treated what was a turning point in western history with respect and dignity, despite the obvious nods to the American market. More of this quality please. You don't need CGI to make a cracking film with a great story. Much recommended. Gary Oldman brilliantly demonstrates how a real character can be convincingly played despite not being an exact likeness in appearance. The characterisation is compelling in both his idiosyncrasies and his relationship with other characters. However one or two scenes bordered on sentimentality, particularly the underground scene where the train seems to take a very long time to travel one stop in the centre of London! I suspected this scene was taken from Shakespeare's Henry V where the king visits his his troops (incognito) to gauge public opinion on his strategy before battle with the French, especially as the Laurence Olivier film was also made as a parallel to the contemporary war situation of the same time. I liked the lighting effects, brilliant shafts of white light spilling into subdued darkened areas, and one is not aware of the sequence of almost exclusively interior scenes. Didn't expect to enjoy the film, fantastic performance by Gary, didn't want film to finish and thoroughly enjoyed it. Don't understand politics but this helped tremendously. Bring back Winston for MP, yes I do realise he's dead but film was so life believing and Gary made fantastic Winston. 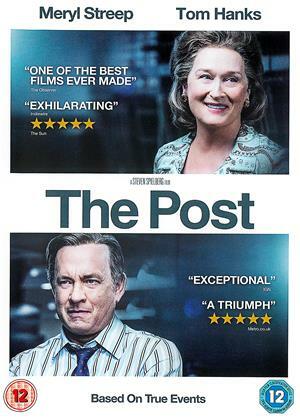 This is a very good film if one looks at the acting (particularly that of G Oldman, superb and impressive) and the interesting re-creation of the political tensions/ debates/ divisions within the British political class and the Establishment as the country was entering WWII. It shows there was no consensus around what to do (a bit like Brexit!) and many were interested in doing some sort of deal with Hitler (led by Lord Halifax). Where the film is a bit weak from a strictly historical perspective, is that it gives all the credit to W Churchill for wanting to stand up to the Nazis, whereas he was helped and supported by Labour in the coalition government -- something that is virtually ignored in the movie. This has been mentioned by historians and specialists. Having said this, it is a very good film that you will enjoy and it does re-create the atmosphere at the time pretty well, I believe -- and even if the scene in the Tube is of course a pure creation of fiction! Like a previous reviewer the Albert Finney Gathering Storm was a far better film than this one, but where this film is about how Churchill became the PM and held on, the earlier Finney gave you so much more in-depth reasoning for the need for Churchill to replace Chamberlain as PM. If there is to be a follow on film then the role Lord Halifax played as our Ambassador to Washington from 1941 to 1946 must be a front runner! Has to be a 3 for Gary's performance alone. Bit simplistic on the history. The underground cameo was written up as actually happening at some point.......not sure if actually did, or was a nice spin/idea, would have to research that. Quite a bit has probably been bent a bit to fit, but the Asquith and King likeness very well done. Folks in London, and on tube, way cleaner and brighter than would have been of course. My grand parents were in Stratford during the war, the other grand parents were in a pub alongside Hanworth Aerodrome in Feltham........not much colour and cleanliness back there! Really enjoyed this, for me it show how treacherous our own MPs can be and how some would so easily give our own country up to another. Same is happening today. 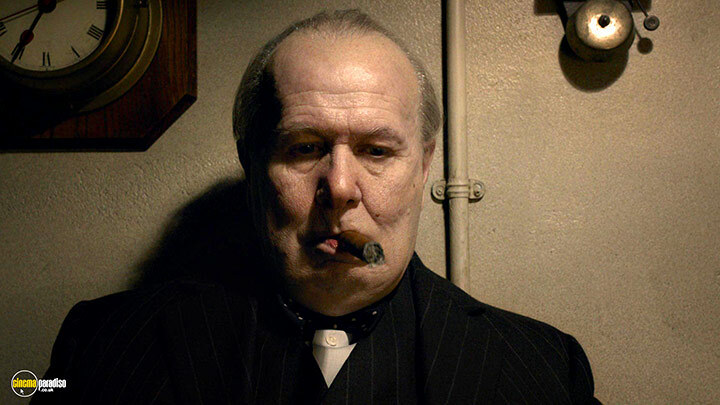 The acting of Churchill was brilliant. 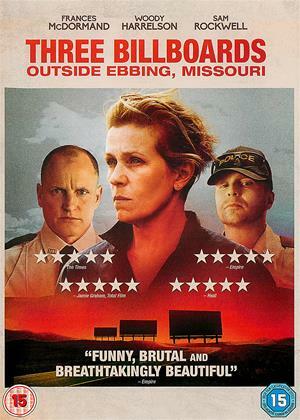 very good film , falls short of being great as the subject matter is so brief. It sticks solely to the period in Winston Churchills life just before he is shoehorned into his role as PM. It then follows for about 6 months? inc dunkirk and a crucial vote in the commons whether to give in and negotiate for peace, or to stand alone and fight the nazzi hordes. Plays a bit fast and loose , did he really get on the tube? and there are a few tokenistic faces in there. great performance by Gary Old Man. I was amused to see David Walliams in a major role (joke). 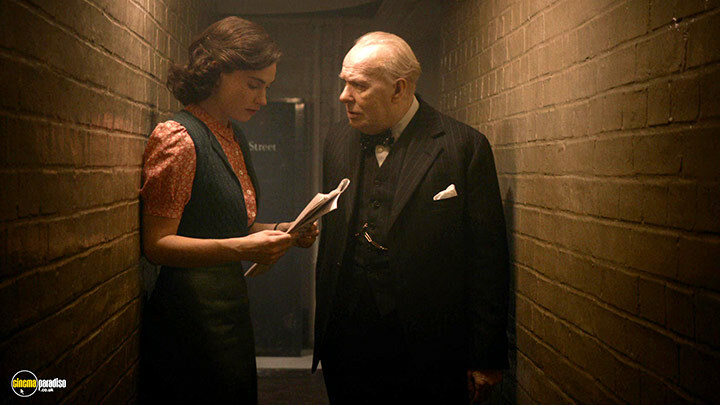 Oldman fine as Churchill but let down by banal storyline and historical nonsenses. The best of the recent portrayals in 17/18 but Albert Finney in The Gathering Storm is so so much more convincing, and the story just less contrived. Watch that for goodness sake. 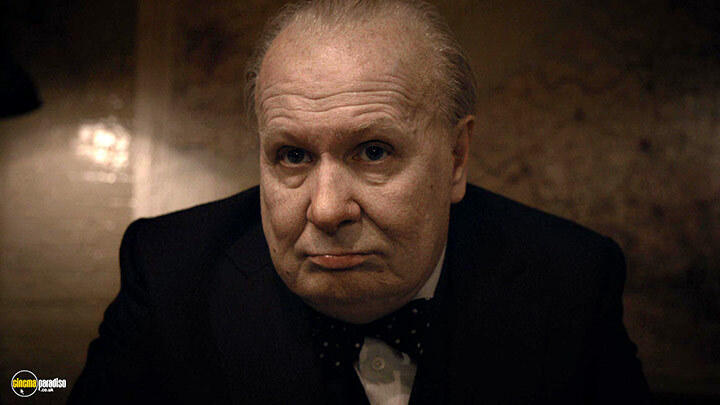 Gary Oldman’s portrayal of Winston Churchill is not only one of the best depictions of the historical figure but perhaps the best role of Oldman’s entire acting career. Just look at him with that weight in his throat, the waddle in his step, the mumbling in his lips and the creative wheels churning in his mind. It’s such a fantastic performance that director Joe Wright zooms in close to his subject, showcasing every detail to ensure the audience that Oldman has disappeared entirely into this role. It’s a magnificent centerpiece of a historical film that breathes life and electricity into material that could have been stuffy and dull. The film follows Churchill’s most crucial period of his political career from being offered the position as the new Prime Minister to making the tough call of going to war. This is a man who seems to never stop, greeting the day with a lit cigar and a new note to be taken by his new secretary (Lily James). He takes his job very seriously, demanding double-spaced type and that everyone keep up with his conversations that run so long they lead into the bathroom. But there’s also a more human side to him the way he can lovingly joke with his wife and have a laugh at his own expense. He seems so sure of himself that it’s no wonder his political party chooses him to lead during the most crucial time for the country. But when it comes time to make the big decisions about the direction of a war that has already brought about many dead soldiers, the doubt begins to fester, tearing a cantankerous and charming old man into a blubbering mess of fear. A common complaint about the picture may be that it focuses too much on Churchill and not much of anyone else. There are awkward meetings between Churchill and King George (Ben Mendelsohn) but they are spaced out greatly. 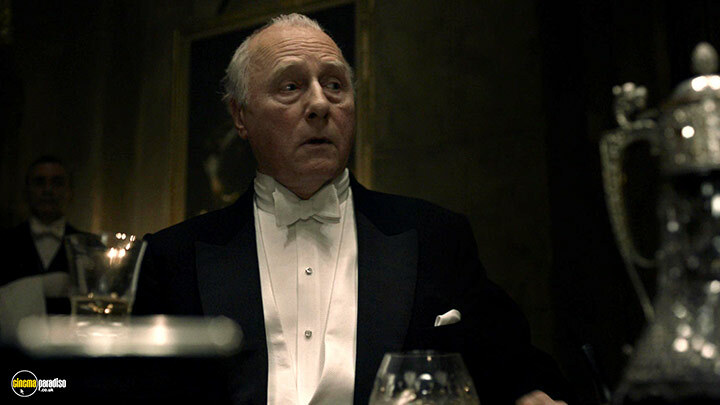 There is a bitter rivalry with Foreign Secretary Lord Halifax (Stephen Dillane), but only for the required tension in political discussions. Churchill’s wife (Kristin Scott Thomas) exists mostly to pull Churchill back from the void of depression and his secretary brings a real face to the plight of England’s people. The movie tries to juggle all these characters as much as Churchill tries to keep his own life a constant act of plate spinning. Also kept spinning are the events during this time, presented quickly and to-the-point. There is plenty of talk about the war, but this is reduced to a handful of brief scenes for bombings, boats and wounded soldiers. It may be considered frustrating that the war doesn’t become a prime focus for the footage, but this isn’t that type of film. 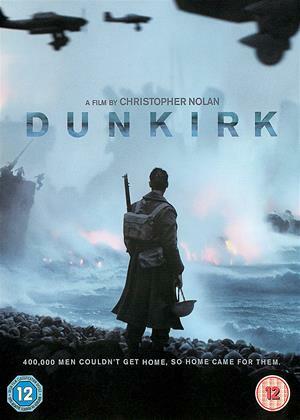 If you want more on the evacuation of Dunkirk that Churchill ordered, watch this year’s stellar war picture of Christopher Nolan’s Dunkirk. In fact, both films would make for a keen double-feature, Dunkirk presenting the grit of the war and The Darkest Hour the political side. Yes, this biggest draw of the picture is Gary Oldman’s flawless performance, but rightly so. Every moment he’s on screen is mesmerizing from the subtlest quivering of his lips to his waddling around with either a drink in his hand or a cigar in his mouth. Joe Wright’s direction keeps the film tight and focused, never fearing too far off course for other arcs or subplots. The days tick by with title cards that move like a well-maintained clock, chunking away the days with a brisk tone. The cinematography is stunning, portraying the house of commons like a grand opera house with its towering shots. 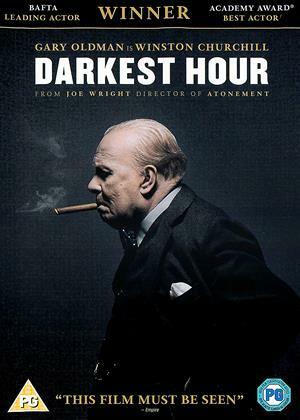 In terms of movies for the history class, The Darkest Hour is one of the finest of the lot, breathing with life and buzzing with electricity for one of the most important figures in British history. 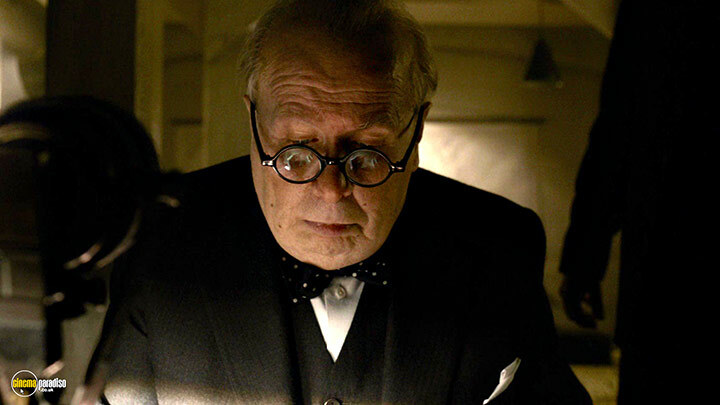 I doubt I’ll ever see a portrayal of Churchill as rich and defined as Oldman’s and I doubt I’ll ever see a more perfect role for such an accomplished actor.